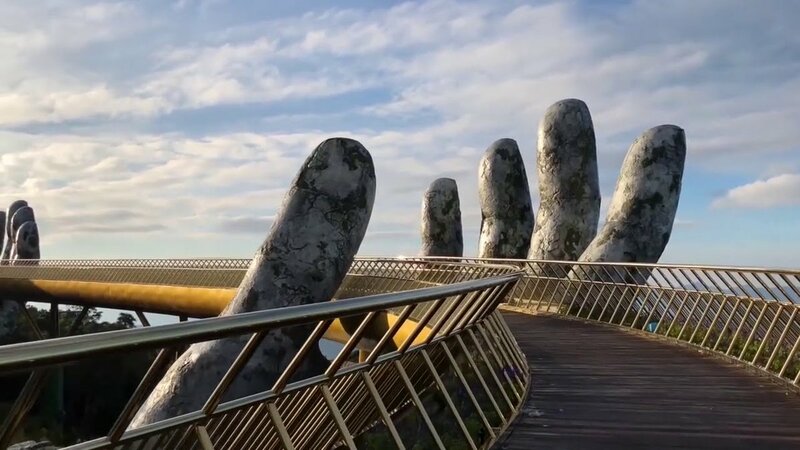 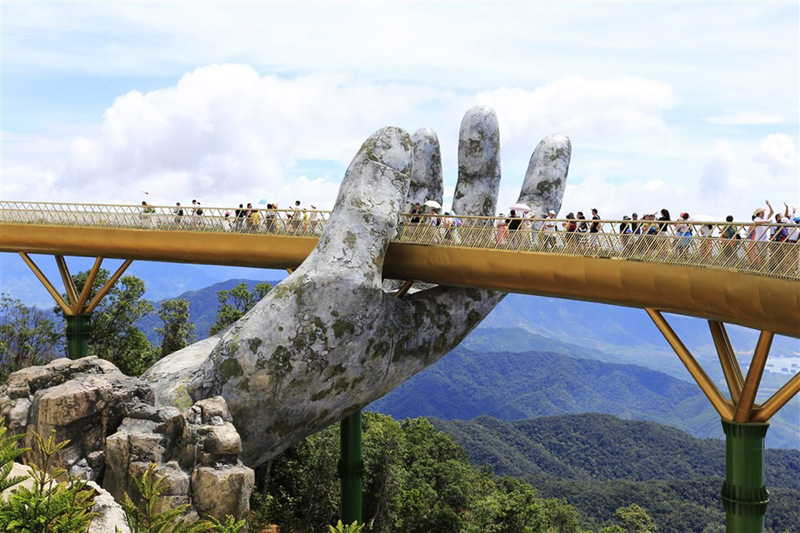 A bridge located above Da Nang’s Ba zna hills, in Vietnam, has attracted a lot of attention for its two giant hands which seemingly lift the structure into the sky. 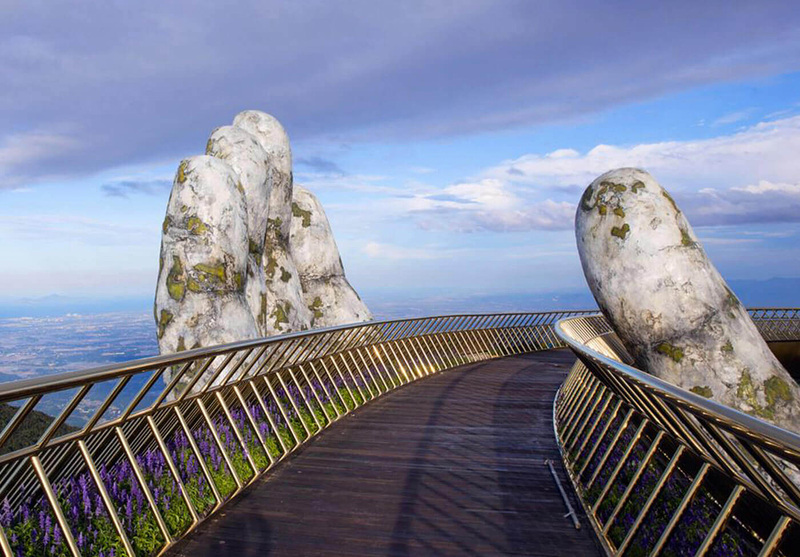 Standing on the Golden Bridge, visitors can admire the whole infinite scenery and majestic mountainscape of Ba Na. 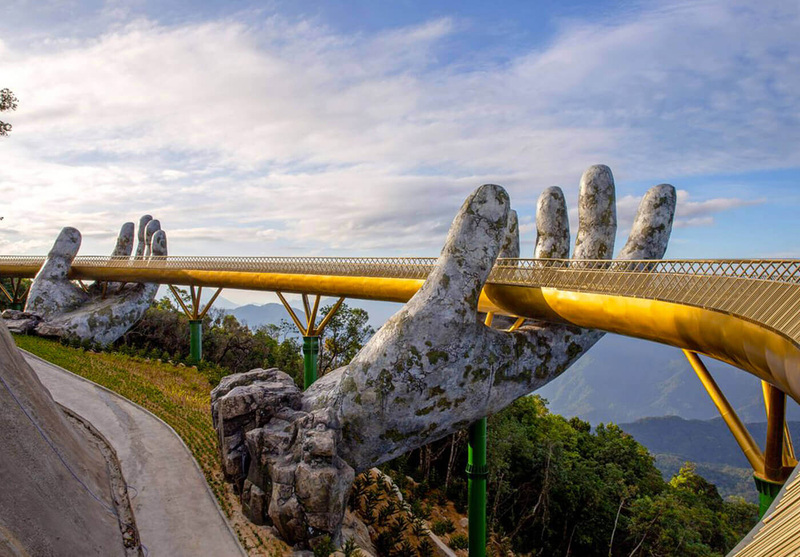 Suspended more than 1,400m above sea level, the bridge appears like a golden ribbon held by two giant hands emerging from the hillside. 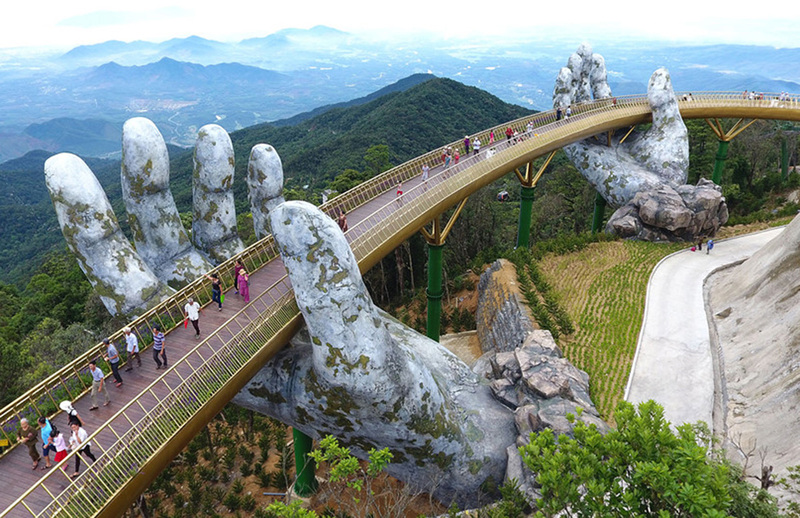 Including 8 spans with a length of nearly 150 meters, according to reports the bridge is part of a $2 billion project, designed to accomodate Vietnam’s vast numbers of tourists. 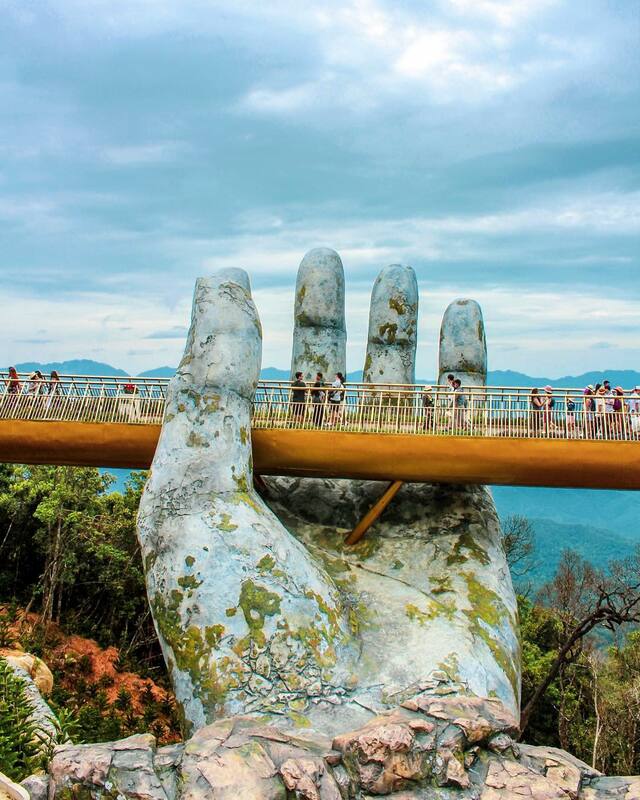 Vietnam has become a major tourist destination since the 1990s, with record numbers reaching 3.77 million international tourists in 2009 alone, and maintaining similar numbers ever since. 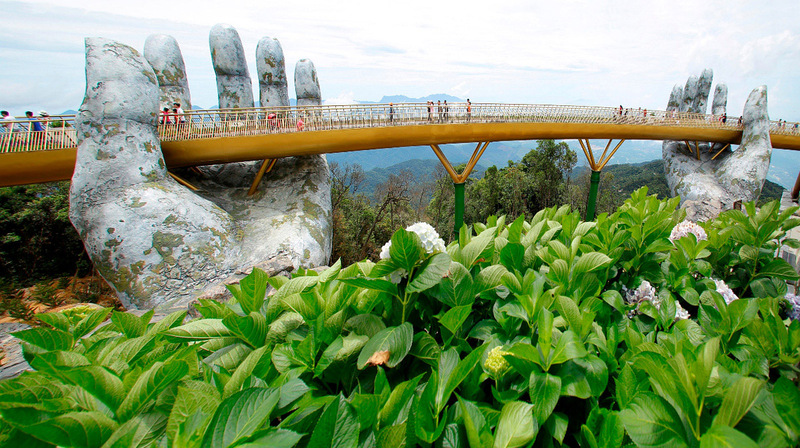 Be sure to check beautiful eco bridge and Nanhe river landscape bridge.